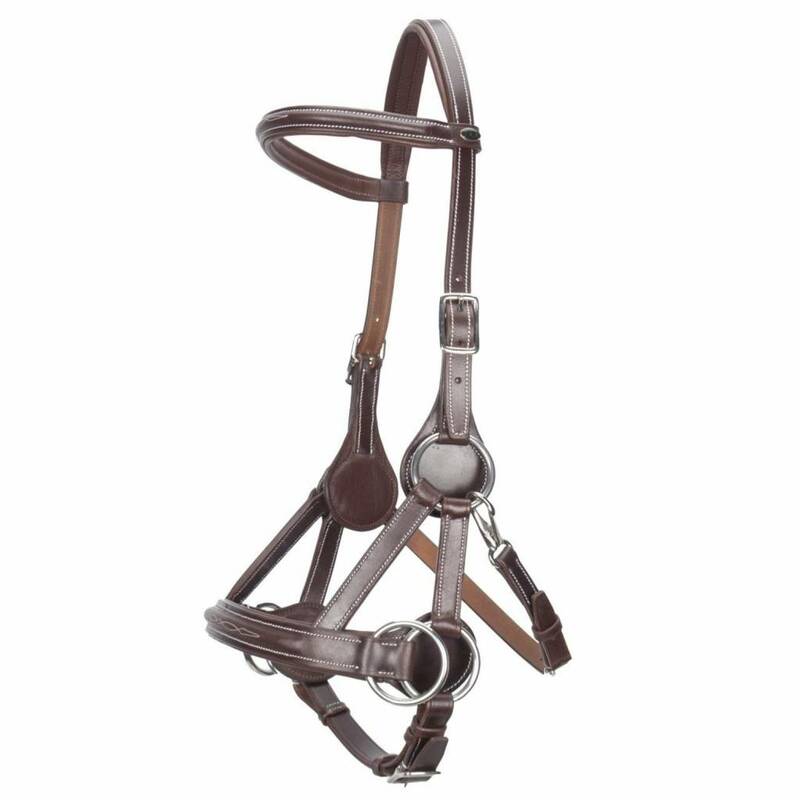 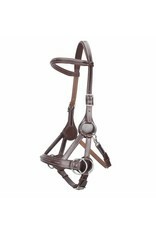 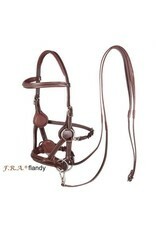 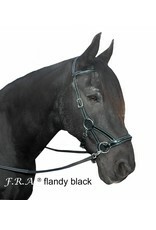 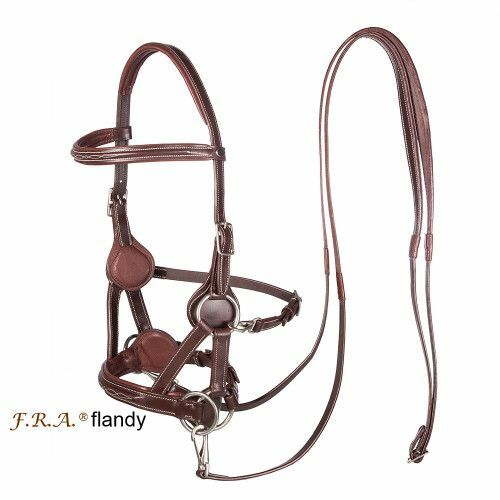 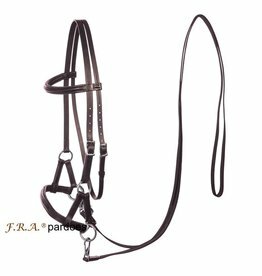 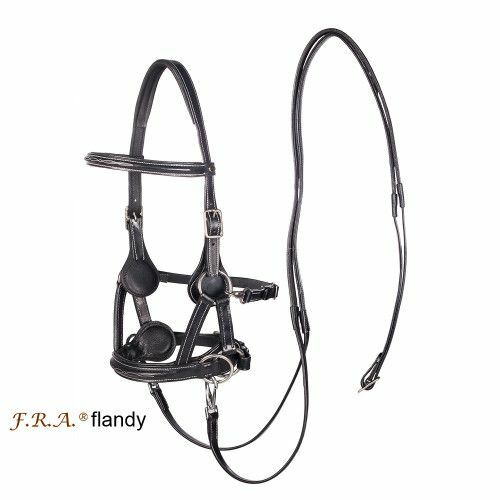 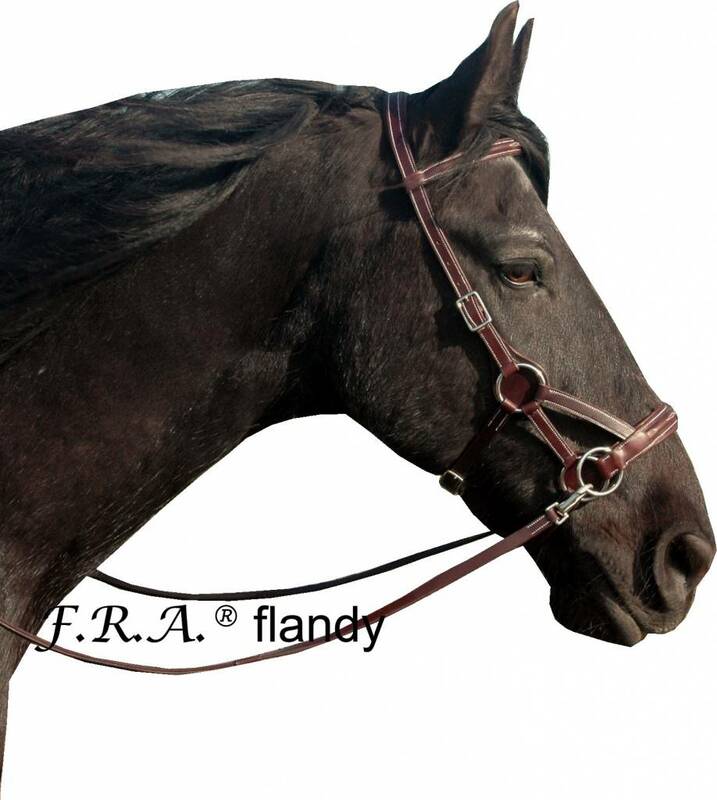 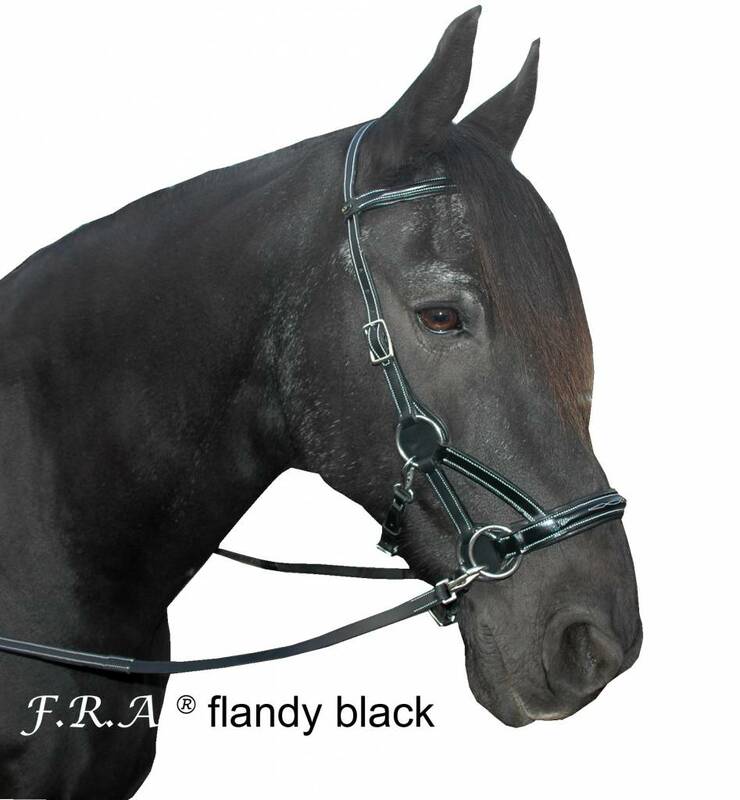 The Side Pull Flandy from FRA is a bitless bridle with a jaw strap instead of a throat latch. 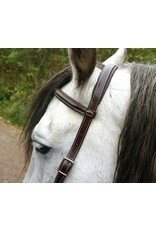 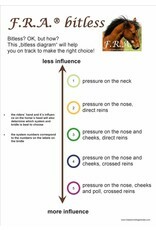 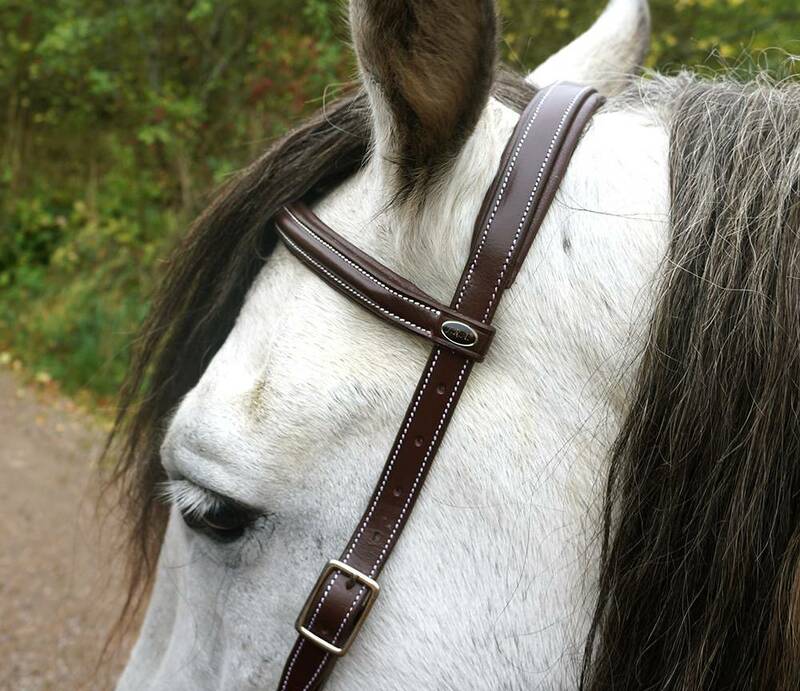 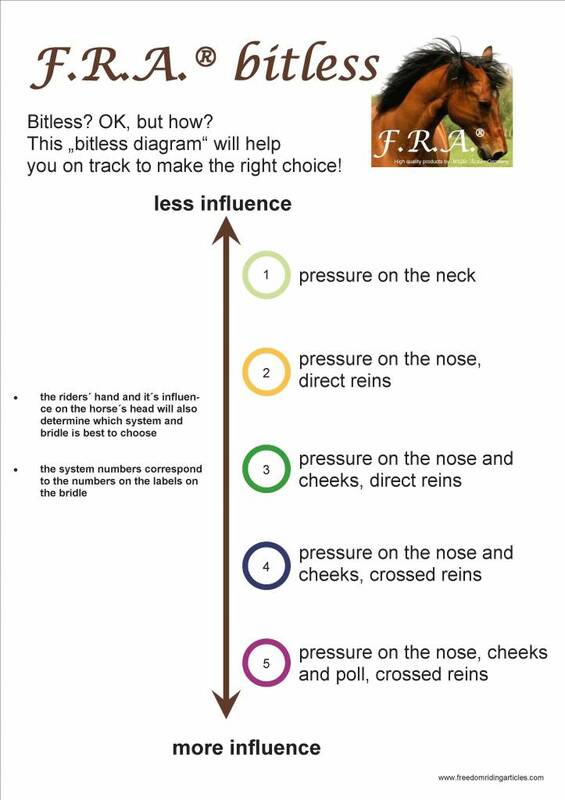 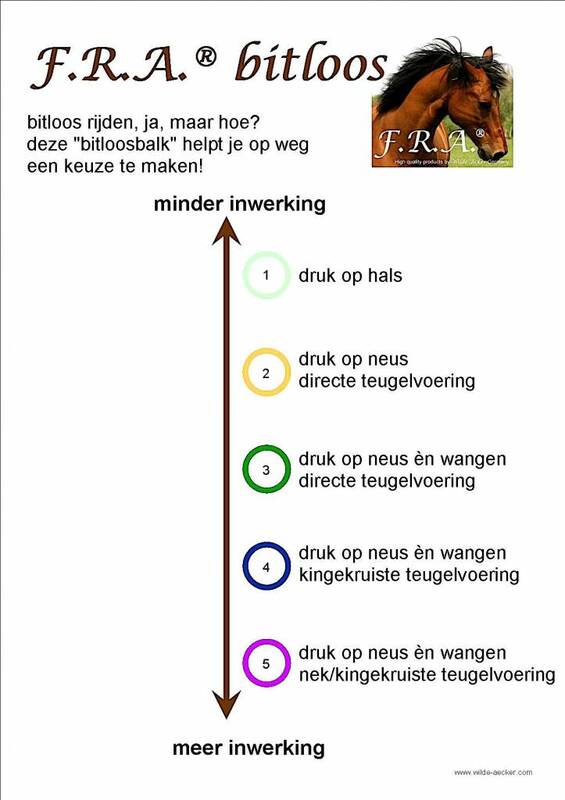 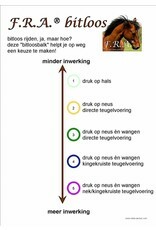 The jaw strap prevents the bridle from slipping and is more steady at the horse's head. 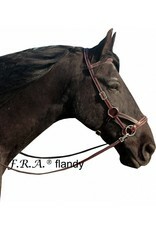 The noseband and browband are braided. 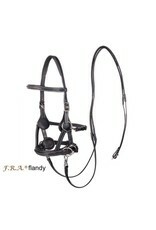 The Side Pull Flandy has included leather reins with grip.